Only works on GSM networks, battery life is just average, only available unlocked, Android 9 should be coming, but hasn't arrived yet. Well kind of. Behind the recognizable name brand, modern Nokia phones have only existed for about two years after startup HMD Global bought the Nokia name back from Microsoft and returned the company to its Finnish roots. And in that short time, Nokia has already rocketed back into the top 10 for global phone market share, and thanks to devices like the Nokia 7.1, it’s not hard to see why. 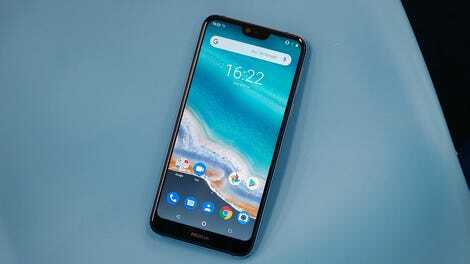 For just $350, the Nokia 7.1 ticks all the proper checkboxes for stuff you want and need on an inexpensive handset. Its Qualcomm Snapdragon 636 provides more than adequate performance, it comes with 4GB of RAM and 64GB of storage (the same as a base Pixel 3), and you even get a microSD card slot and a headphone jack, which are features most new premium phones have abandoned. The one spec the 7.1 lacks that I wish it had is some form of water-resistance. Though to be fair, almost none of the 7.1's main competitors have official IP protection ratings either. And despite its affordable price tag, the Nokia 7.1 never feels cheap. Sure, its design is basically a glass brick with a strip of aluminum running around its sides, but little touches like diamond cut edges featuring accent colors that contrast with the Nokia’s midnight blue or stainless steel paint jobs add a bit of class. Even the 7.1's build has a sense of heft and solidity that you don’t quite get from other top-notch budget phones like the Moto G6. The back is all glass, with the phone’s cameras and fingerprint reader positioned down the middle. If you like taking pictures with the front and back cameras at the same time, Nokia has added even more options to make taking “bothies” easier too. Once again, the Pixel 3's pic is better, especially when it comes to noise and white balance, but the 7.1 does a better job of living up to the message. The other potential issue is that unlike the Moto G6, the Nokia 7.1 is only available as an unlocked model from retailers like Amazon or Best Buy, and it doesn’t support CDMA networks like Verizon or Sprint. That means this phone is a non-starter for a fair number of people, and having fewer options to pay for the phone via a monthly plan could make it a tough sell for people looking to cut down on the upfront cost of a new device. But for those looking for a simple phone at the right price (and a hint of premium style), Nokia’s 7.1 embodies many of the same qualities that made the brand’s feature phones from the late 90s and early 2000s so memorable. 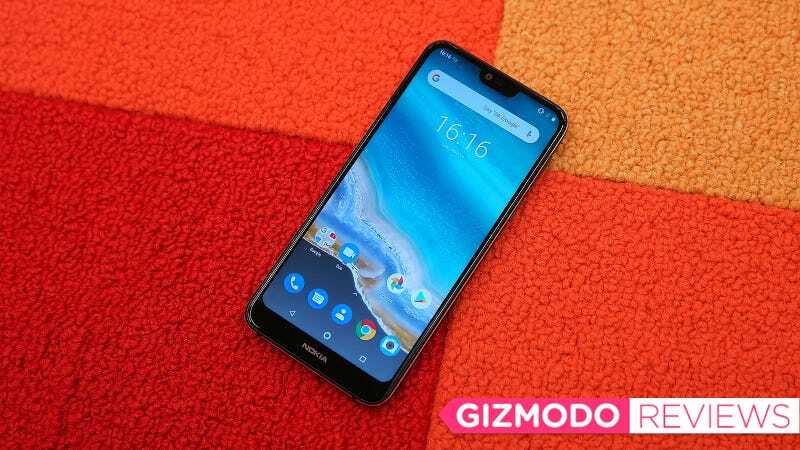 It’s a solid, minimalist phone with pretty much every feature you need, and with a price tag of $350, even before any discounts, the Nokia 7.1 feels like a steal. Nokia’s limited band support means that the 7.1 only works on GSM networks like AT&T and T-Mobile.